Swertres Results: 11am = 6 – 8 – 3, 4pm = 0 – 7 – 6 , 9pm = 1 – 4 – 5 | Date: February 13, 2019 – Here’s the latest news and draw update of Swertres Results from the PCSO Swertres hearing today (Wednesday). The February 13 2019 Swertres draw was held at the Philippine Charity Sweepstakes Office. In this game you must picked the 3 winning numbers in exact order. Also here’s the EZ 2 Result for today. 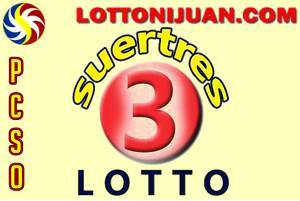 The Suertres Lotto Draws can be seen everyday (Morning at 11am, Afternoon at 4pm and Evening at 9 pm) over Channel 4 together with your other favorite Lotto games. Check out here the Swertres Results History January 2019. You can check out HERE the SWERTRES DECEMBER 2018 Results History number frequency (madalas lumabas). The Philippine lotto PCSO Suertres Lotto or 3 Digit Game is fixed-prized game where your goal in order to win the prize is to get all (3) drawn winning numbers. The prize is fixed at Php 4,500.00 for every 10 pesos play. Dear ma’am, sir pahingi po ng number kasi lubog kami sa u tang..